Jogging to lose weight is an excellent choice for 3 main reasons. Firstly it’s free, secondly it’s relatively easy to do and finally it burns off calories faster than walking alone. 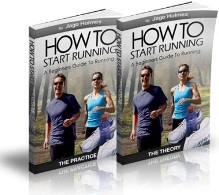 However there are a few factors you need to consider if you intend to use jogging to lose weight. One of the most important pieces of advice I can give you is to start off easy. Don’t even think about jogging if you’re a very inactive person. Instead begin by walking for a few days first and then add small chunks of very gentle jogging. If there’s one thing I know, that’s if something is easy or feels comfortable to do then you’re much more likely to want to do it again. Now I’m not saying that this is how you’ll always train, but to begin with it’s perfect. Unfortunately too many people subscribe to the ‘no pain, no gain’ theory. But I don’t. My motto is this - ‘Do the minimum you can do to get the results you want.’ If this means doing a little something extra like jogging to lose weight and it’s something that you actually enjoy then that’s a win-win situation. But it’s important that you monitor your progress so that you do know if you are actually losing weight or not. You should select a flat route to begin with that will take you around 20 – 30 minutes to complete at a leisurely pace. Don’t worry if this all sounds too easy, as you get fitter and more comfortable with the technique of jogging, your speed will naturally increase as will your desire to do more challenging runs. Jogging to lose weight is a very good way to ease in to running gently. I see jogging as an excellent stepping stone between walking and running. It’s a perfect way to increase energy levels, improve posture and confidence as well as a fantastic stress busting technique. Ok, you’re increasing calories out, but you’ll lose far more weight if you reduce calories in slightly at the same time. If your intake exceeds the amount you use, it will still be stored as fat, even if it's 'good' food. One last point you need to be aware of is that when you start jogging to lose weight, initially you’ll be burning fat but also increasing the amount of muscle you have on your body, especially around the legs, buttocks and hips. As muscle weighs more than fat, you may even gain weight at first. But this is muscle weight... it’s what we want. The more muscle we have, the higher our metabolism will be.